Switching Performance - The UniFi Switch offers the forwarding capacity to simultaneously process traffic on all ports at line rate without any packet loss. 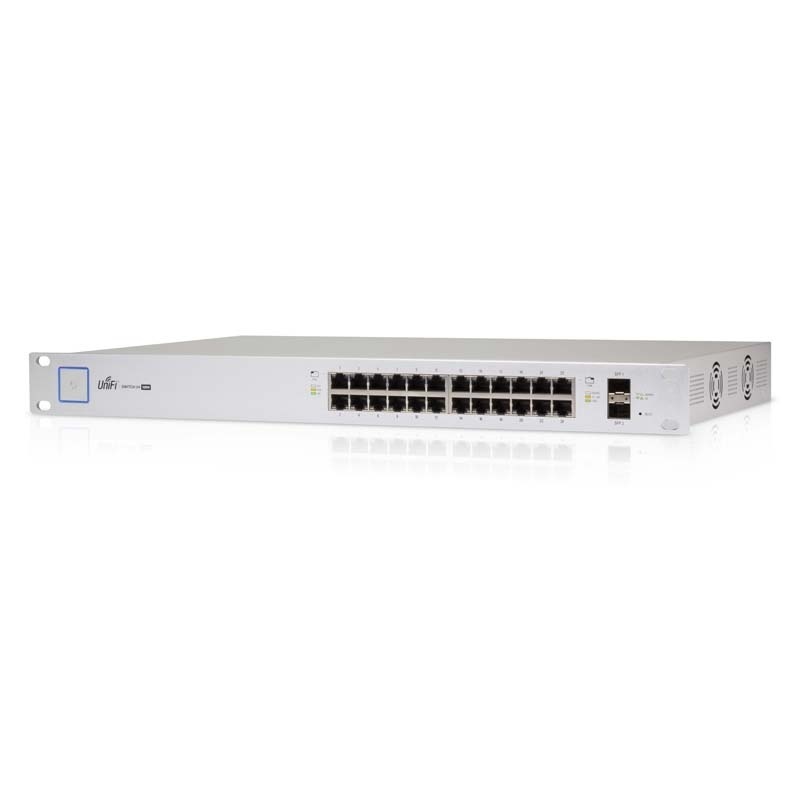 PoE+ Flexibility - The UniFi Switch models are available with 24 or 48 PoE Gigabit Ethernet ports of auto-sensing IEEE 802.3af/at or configurable 24V passive PoE to simplify your infrastructure. By default, the UniFi Switch automatically detects 802.3af/at devices so they automatically receive PoE. For 24V passive PoE devices, manually enable 24V passive PoE using the UniFi Controller software. 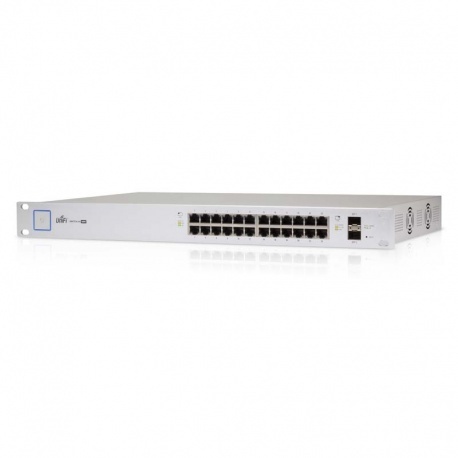 Fiber Connectivity - The UniFi Switch provides fiber connectivity options for easy expansion of your networks. Each UniFi Switch model includes two SFP ports for uplinks of up to 1 Gbps. Each 48-port model adds two SFP+ ports for high-capacity uplinks of up to 10 Gbps, so you can directly connect to a high-performance storage server or deploy a long-distance uplink to another switch. 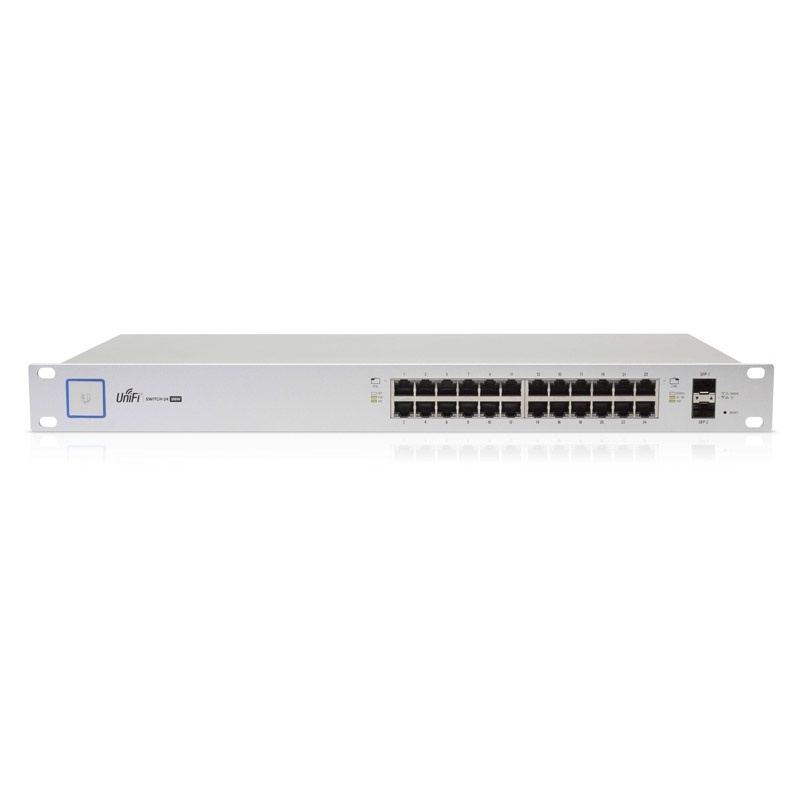 The UniFi 24 port PoE Switch is a fully managed, PoE+ Gigabit switch, delivering robust performance and intelligent switching for growing networks.